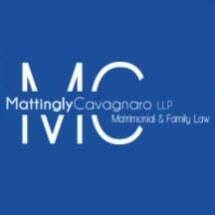 Combining the relative strengths of two of the region's top family law attorneys, the law firm of Mattingly Cavagnaro LLP in Buffalo, New York, is fully prepared to help families across the area with their most important and sensitive legal issues. Attorneys Christopher Mattingly and Melissa Cavagnaro possess over 30 years of combined legal experience focusing solely on family and matrimonial law, and they established their boutique law firm as a way to deliver the highest level of advocacy and support possible to families in need. Handling all areas of family law, they and their dedicated associate attorney, Rebecca J. Brawn, can help you navigate through all areas of your divorce, including child custody and support, property division, alimony, and other related matters, and they have extensive experience handling high-asset divorces and complex property distributions. Utilizing a vast network of professional resources and financial experts, they can help you properly valuate your business and other important assets to help ensure you receive your fair and equitable share. Along with handling all aspects of divorce and property valuations, they can devise prenuptial and postnuptial agreements to help you protect yourself and your assets in the event of a divorce, as well as represent your interests during any modifications or enforcements of existing court orders. If you are looking to expand your family through adoption, they can help with that too. No matter how complex your needs or the specific goals you wish to achieve, you can count on Mattingly Cavagnaro LLP for the personalized, compassionate counsel you deserve during your difficult and uncertain time. For more information, you can contact their law office or visit their website to schedule an initial consultation.